We help if you find yourself with a blockage. Blocked Drain Swindon provide a 24/7 service available 365 days a year. A toilet or sink blockage can be a real inconvenience, which is why offering an emergency drain unblocking service is vital for all of your urgent blockage situations. We are servicing both household and commercial properties. And we are also doing contracts for hotels, letting agents, restaurants, and councils. NHS, different offices and establishments are serviced by us too. Swindon Drain Unblocking customers service is unmatched. And the trained engineers can provide complete peace of mind. We pf course also can guarantee to unblock any drain. There are a number of reasons a drain blockage can occur and Swindon Drain Unblocking can conduct a full drain survey report detailing how the blockage was caused. The team have years of experience with drains and can advise if your drainage problem is likely to be covered by your insurance. The trusted drainage contractors deal with all things drain related focusing on unblocking, repair and maintenance. Customer satisfaction is paramount to Swindon Drain Unblocking and all feedback is welcomed. The team work around the clock to the highest standard and can repair frozen pipes, burst pipes, broken toilets, ball valves, toilet cisterns, leaking taps and a range of other plumbing problems with drains, toilets and drain repairs and prevention. And don’t just contact us when you’re in an emergency situations, we also offer maintenance services. The team aim to get the job done fast so you can continue your day with little disturbance caused and will act promptly to put the emergency right. The plumbers have years of experience and quote a fixed price before carrying out work so you won’t be left with a huge bill no matter how long the job takes. All work is guaranteed and professionally finished. 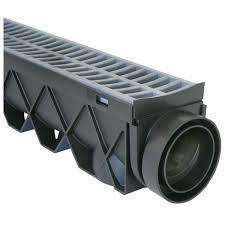 Have you got a blocked drain in the Swindon or surrounding areas. 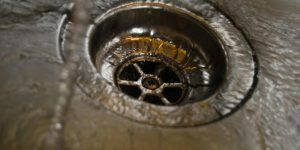 Swindon drains has the high pressure water jetting to solve that blocked drain crisis whether at home or at work you’ll be amazed at how quickly we can resolve your blocked drain issues. Call today and don’t pay a single penny in VAT and also not a single penny in call out charges. 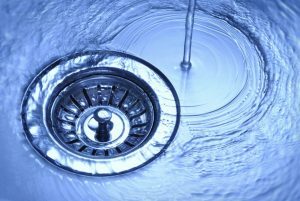 Call Swindon drains now and see what our drain specialists can do for you, today! 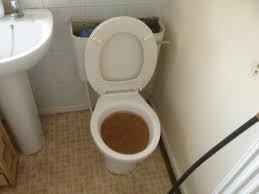 Here at blocked drain Swindon we know it’s no time for a party when you find a blockage, all you want to do is get rid of the thing, especially if the blockage is accompanied by an odor. We know that you don’t want to be hanging around all day for someone to come and sort it because you have things to do and a busy schedule. We respect that and that’s why we’re fast to respond to any emergency call outs, we’ll get you back up and running with your day in absolutely no time. We know you have things that you’d rather be doing but our service is quick and painless and worth getting done before your blockage has a chance to cause you even bigger more expensive problems. We don’t have an emergency call out charge and our rate stay as normal for an emergancy, we care about you, and we care about your drains. Our prices are competitive, don’t believe us? Call now and find out! Here at blocked drain Swindon we don’t just unblock large commercial drains for big businesses, and we don’t just unblock smaller residential toilets. No, here at blocked Drain Swindon we are equipped to unblock any drains, any pipes, any size, and anywhere in Swindon, any time of the day, week or month, it’s never been more convenient to have any drain of any sort unblocked, and the best part? Our Prices are completely competitive with local companies and we never charge call out fees, just for the work itself. Don’t call out your local plumber who might not have the tools for your bigger external drains, and don’t think that we charge astronomical amounts to clear smaller residential blockages either, because we don’t. We have the easiest booking system in the world too, thanks to our wonderful trained, friendly office staff. If you require our team we’ll be sure that they’re on the way minutes after we finish on the phone. Don’t mess about, come straight to the professionals and call us today. We think you’ll be pleasantly surprised! Most common blockages are caused due to a periodic build up of oils and fats, this can slowly but surely cause a clogging in the drain if the build up is not regularly and thoroughly dealt with and eventually reach the point where water can’t pass through at all. All Swindon Locations. Any blockage no matter of size or type, The Blocked Drain Team will be on hand with the right equipment to resolve your issue. Whether a blocked drain in Walcot, or a blocked toilet in town, Blocked Drain Swindon are your local go to company for any blockage big or small. Blockages can be dealt with by the property owner themselves but often this is time consuming and dirty work, don’t do it yourself! Let the professionals at Blocked Drain Swindon help you out by doing the dirty work for you! Here at Blocked Drain Swindon, We’ve seen and dealt with it all. Here at Swindon drains, we have over 20 years experience and we think that means we’re qualified to tackle any drains, any size, any place, any time! We’re confident that our excellent skills, experience and skills will be all you’ll need to take care of that pesky blockage, and what’s more is we’ll get to you fast! 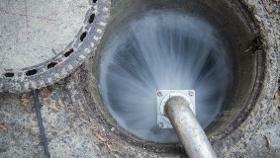 Our Goal is to make unblocking drains in the Swindon and surrounding areas completely painless from start to finish. We do this firstly from when you call in, we don’t put you through to automated messages and we certainly wouldn’t put you on hold all day waiting to speak to the right person, because at Swindon Drains there isn’t such thing as a wrong person to speak to, all of our office staff are trained to answer questions about all aspects of the business so there will rarely be a time when they don’t have some useful info for you regarding your questions. Call us today and speak to us now, and see if we can’t get someone on their way to unblock your drains in a matter of minutes from your initial call. Here at Swindon Drains we’ve got plenty of experience, and when it comes to blocked drains experience matters, Swindon drain specialists have the task of judging what equipment is best for what type of blockage. So that means they need to take two things into consideration, how long is it going to take and can it eliminate the blockage in question. Swindon drains don’t want it to take all night, firstly because we’re smaller than dyno rod meaning we can’t be as many places at once, if we take longer than required on a blockage we could be letting someone else down in the mean time. Secondly we don’t want it to take all night for you, because quicker and easier for us means cheaper for you and everyone loves cheap. not that our prices are extortionate because in fact they are very competitive. Call today and see what we can do for you.